I feel I owe our lime plant a sincere apology. I have disparaged its character in the past, maligned its sexual activities and overall just didn’t have much faith in it after its first crop yielded a bizarre type of nearly inedible fruit. If you are a long-time blog regular, you would know I have a thing for limes. If I could single-handedly bring back the dayap to the culinary forefront, along with say the kalamansi (that is rapidly being referred to as the new yuzu in chi-chi western chef outposts, go figure that, we knew that for centuries) then I would be a happy camper. Every time I see dayap in markets, I buy way too much of it, hoping to encourage growers and sellers to keep it stocked. 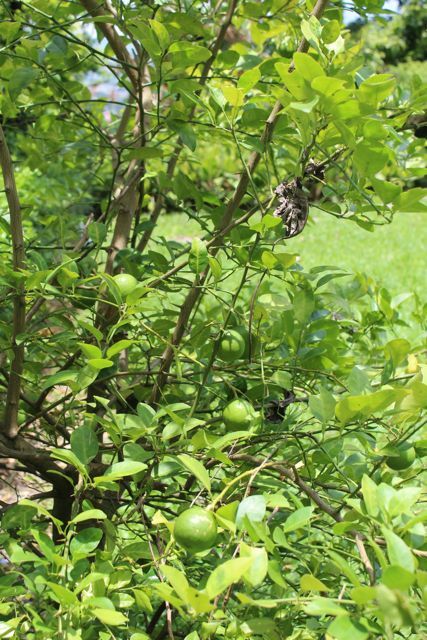 I like the limes so much that on a trip to Vietnam 4 years ago, I brought back a kilo or more of limes, just to get the seeds and try my hand at planting them. I have also tried to plant them from seeds of local fruit, and have purchased numerous “authentic” dayap plants that struggle in pots and various parts of our small yard at home. We have seven such plants, but only one has borne fruit so far. I hope the others get with the program soon. I can use every lime we grow. To celebrate this miraculous transformation, I decided to pick some 20 or so limes to bring back to Manila. I also photographed them in this 100+ year old wooden antique bowl, a gift from a friend in Bohol. 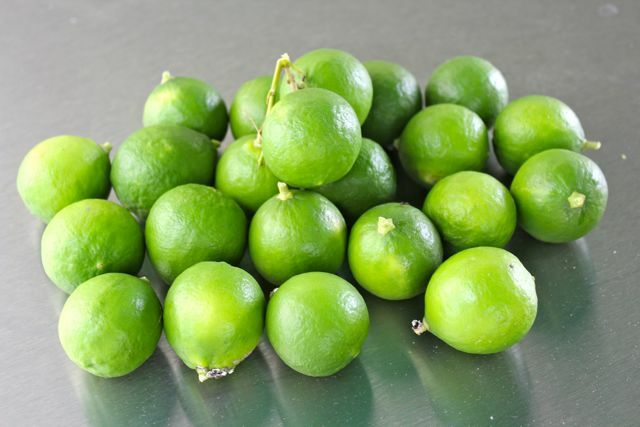 So happy for you..:-) the satisfaction of picking limes from your own citrus tree.. priceless!! i almost become teary. don’t know whether because MM’s funny or i pity the lime tree. So happy for you with your dayap harvest. I know how you feel since I am super excited when I see my dayap, calamansi, and kaffir trees in flower. Like you, I buy loads of dayap whenever I see them in the market and just keep them frozen since I can’t use them all in one cooking/baking as I buy kilos of dayap at a time. CONGRATULATIONS! i know how you feel re limes. Save the seeds! I would love to try to grow them on our property. I keep looking for limes for a more authentic tasting pico de gallo but never find them! Lemons are great for many things but Mexican food needs limes! We also have a lemon plant the yields ginormous lemons that are dry and fibrous…maybe they will impress us too on their third year. Thanks for giving me some hope for them. I am green with envy. I should be more patient and wait till mine ( kaffir lime) bears its fruits. For now, I’ll just be content that I can use its leaves for cooking and to scent my kitchen. Derided ugly duckling turns to a black swan. Was there anything different that you did in the third year? I remember visiting a well-known flower producer many years ago. They had planted gerberas, but the plants were not flowering well, and looked sickly. Disappointed, they stopped paying the usual attention to them, practically neglected them. Then, after a few weeks, they were happily surprised to discover that the gerberas exploded with flowers. It turned out, they were over-watering them earlier. Just like raising a child – hoping, hoping, praying and a big dose of patience!! Celebrate this success!! Still hoping, praying that you will find time to eventually publishing the BOOK ( the history and the delight that Market Manila blog has been over the years. Now, of course, the hardest part will be editing, curating, what to include in??? because of the widest variety of topics you have addressed/shared with us in the past. While I love reading Market Manila over the internet, there is nothing like a fat tome of a book that I can hold in my hands, curl up in bed, looking at beautiful pictures and even more, enjoy, the wonderful text, insight, wit, humor you are gifted with. We did contemplate of growing a lime tree (got a Kaffir lime doing great on a pot and ready for transfer to its permanent home soon. Thank God for Manila Seedling). 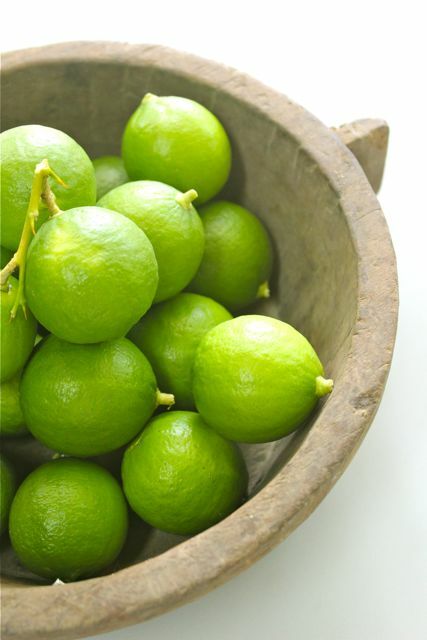 How long did it take for the lime to grow and bear fruit? Off topic: Maine is having a bumper crop of lobster this season. I’m told going price fresh off the boat is down to about $2.20/Lb. That’s insane! Your patience has paid off MM! Ever here of this expression regarding perennials? “First year sleeps, second year creeps, third year leaps.” This refers to the rate at which a newly planted perennial will grow. Looking forward to your lime filled recipes and dishes then. this post cheered me up this rather gloomy morning. congrats with your first harvest! Good for you MM… it does take a lot of patience with these citrus fruit trees. Now, if only my lemon tree bears fruit…had tons of flowers but no fruits. I swore that I will take better care of it this year so it would bear fruit next year. “Save the seeds”. From the latest Plants Vs Zombies 2, applicable for iPad/ iPhone, there is a game there asking gamers to save the endangered seeds. 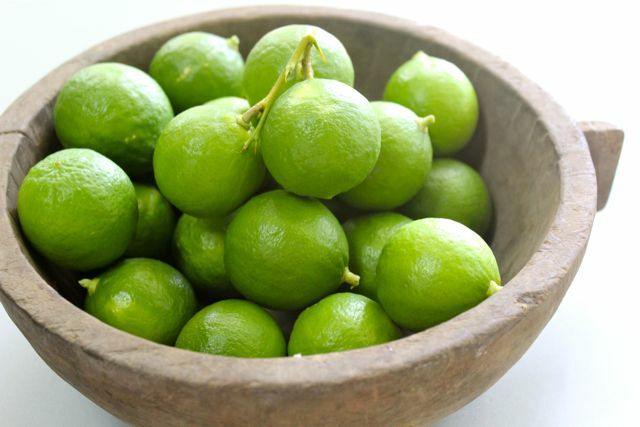 So I wish MM and all the lime seeds goodluck on this “fruitful attempt”. Hahaha! You are so funny, MM! I could feel the happiness in this post though. Contagious! Thanks for sharing your joy with us, MM! Enjoy your limes! The tree has reached its maturity! Congratulations! you made me remember to ask hubby again to buy and plant kalamansi,lemon and lime :) , wanted to have the real thing when I return home, he tried once but he got problems with caterpillars tearing the leaves down and my, he does get frustrated…and one day the lemon,kalamansi and lime just gave up…i need to make ‘suyo’ with him again to try planting another set…there still might be hope this time around. I have an 15 yr old 8 foot tall calamansi, and a 7 yr old 3 foot tall dwarf meyer lemon and I have them on a drip irrigation and being watered for 15min, 3x a week all year except winter. I was told that if you want your citrus to be juicy, you need to water them religiously. All of their fruits are juicy and the calamansi has been flowering and yieding fruits all year round. I brought some home from Cambodia last year and planted some seeds. Seedlings sprouted and I gave a few to Gejo. Hopefully he (or I) grow them to be happy healthy limey fruity plants. Congratulations, MM! Those are really nice dayaps you have. They look juicy. I am sure it will provide you with much fruits for years to come as my mom’s did. May I know if you put chemical fertilizer? I don’t but I’m tempted to because I’m afraid with our clayish soil, it is not getting much nutrient. If you have a really good plant/ tree then I suggest you propagate them through cuttings if possible. Seeds are great but you are never guaranteed that the plant that grows from the seed will be even close to the mother plant’s goodness. Seeds are a product of sexual reproduction so its genes will be different from the parent plant. Even if it pollinates itself, recessive genes, undesirable traits, might take over or assert themselves. Share the offspring with family, friends, and neighbors, especially those who live out of state / province. You never know when a typhoon, storm, flood or drought may kill your beloved plant. Good for you! 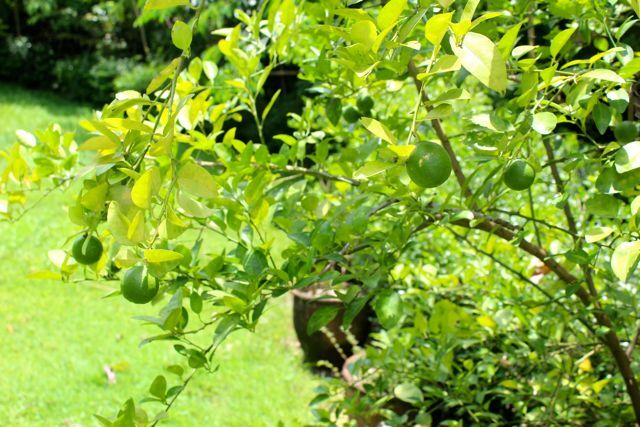 I have similarly brought in Manao or Thai limes a few years back, planted the seeds and managed to get 12 seedlings. I gave out most and have kept 3 for myself. It’s been 3 years and I have trees about 6 ft high. But till now have yet to bear fruit. So frustrating! “horticultural miracle” I love it! @Ted, what time of day do you water your citrus trees? Roddy! Yes growing, but I always have this problem of caterpillars with citrus! But they’re still OK. Thanks again!